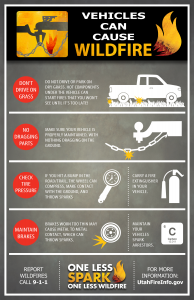 Temperatures are on the rise, and so is the risk of starting a wildfire. With Utah being in the top five driest states in the nation, it only takes one spark. Thousands of Utahns will be recreating this summer, and should remain vigilant about wildfire safety. Over half of all wildfires in Utah are caused by people. In 2016, almost 60 percent of wildfire started in Utah were attributed to human activity. 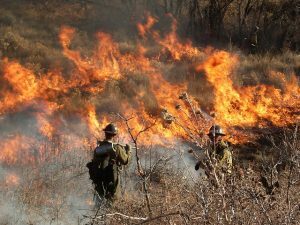 Every year, Utah firefighters fight more than 1,000 wildfires. Always mow your lawn before 10 a.m., but never when it is windy or dry out. Keep exhaust systems, spark arrestors and mowers free of carbon buildup. Use the recommended grade of fuel and do not top off. Always keep a shovel and fire extinguisher close by. 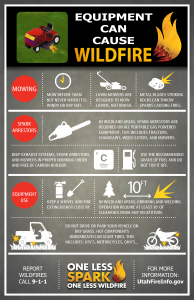 Keep at least 10′ of clearance from vegetation when grinding and welding in wildland areas. Use an existing fire ring to build a fire, not your own. Clear an area at least 15 feet from the fire’s edge. Scrape away grass, leaves and needles. Cut wood in short lengths and pile within cleared area. Never leave the fire unattended and completely extinguish when finished. Keep a shovel and bucket of water nearby. Use the drown, stir and feel method: Drown the fire with water, stir the fire with water, stir the fire debris with your shovel to wet all embers and ash. Check the weather to see if conditions are safe for debris burning. 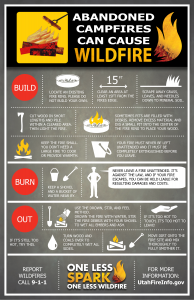 DO NOT burn if it is hot, dry or windy. Keep a water supply and shovel close. Keep debris burns small — they are faster to control and at less risk to escape. Clear all flammable material and any vegetation within at least 15′ of burn. DO NOT burn any garbage. Only dried clippings, bushes, plants and prunings from vegetation on your property. 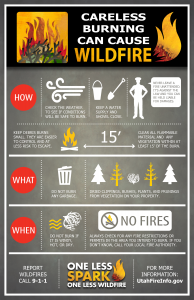 Always check for any fire restriction or permits in the area you intend to burn. Do not drive or park on dry grass. Hot components under the vehicle can start a fire! Make sure your vehicle is properly maintained with nothing dragging on the ground. Check tire pressure. If you hit a bump, the wheel can compress, make contact with the ground and throw sparks. Carry a fire extinguisher in your vehicle. Maintain your brakes. Worn down brakes can throw sparks. Maintain your vehicle with spark arrestors. 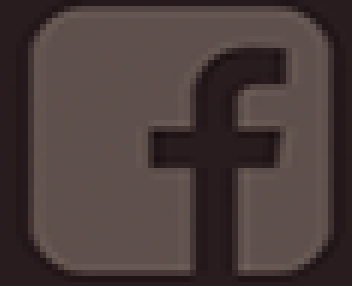 This entry was posted in DNR-NewsFeed, Uncategorized and last updated on June 19, 2017 . 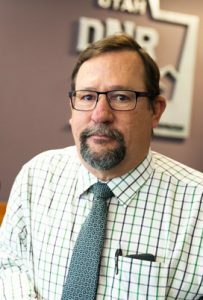 Bill Keach joined the Utah Geological Survey (UGS) as director and state geologist in 2019. He is responsible for ensuring UGS follows the Survey’s duties and responsibilities as defined in state code, including financial and personnel management, and guiding strategic development. Prior to joining UGS, Keach worked as a senior oil and gas engineer at the California Department of Conservation, Division of Oil, Gas and Geothermal Resources. He is a geoscientist, educator and technology expert with 30+ years of experience in industry, academia and regulatory state government. He maintains an aggressive perspective and interest in the role modern technology plays in advancing industry efficiency and is an FAA certified remote drone pilot. Keach is a visiting associate professor of geology at Brigham Young University and visiting instructor at the University of Utah’s Department of Chemical Engineering. He has a bachelor’s of science degree in Geology from BYU and a master’s degree in Geophysics from Cornell University. Bill enjoys spending time with his family and grandchildren. Like most geologists he takes advantage of every opportunity to share the wonder of Utah’s great outdoors with anyone and everyone. He is an avid fan of college basketball, ATV riding and traveling. He hopes to get to Antarctica to complete his travels to all seven continents. 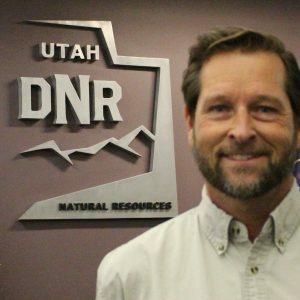 Kerry Gibson currently serves as deputy director of the Utah Department of Natural Resources (DNR). He joined DNR leadership in 2018. As deputy director, Gibson manages the department’s geographic information system, and oversees several DNR divisions, including oil, gas and mining; wildlife and water rights. He also serves as a board member for the Weber Basin Water Conservancy District. Prior to joining DNR, Gibson served as a Weber County Commissioner for more than seven years. He was elected a member of the Utah State House of Representatives in 2004 and represented District 6 in Weber County until 2010. As a state representative, Gibson chaired the Natural Resources Appropriations Committee. In addition to his responsibilities as a state legislator, Gibson has been involved with many organizations, including the Farm Service Agency, Farm Bureau, Utah International Trade Commission and State Water Development Commission. Gibson and his wife, Katrina, have six children and live in West Weber. He earned a Dairy Herdsman Degree from Utah State University. Christopher Keleher has been the Department of Natural Resources (DNR) director of Recovery Programs since 2018. 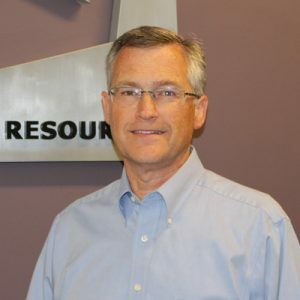 He serves as program director for both the June Sucker Recovery Implementation Program and the Virgin River Resource Management and Recovery Program. He also represents Utah on the Colorado River Fish Recovery Program where he serves as chair of the Management Committee. Keleher works statewide to help solve conflicts between local communities and species conservation. Prior to serving in his current capacity, Keleher served as the recovery program deputy director and was responsible for administering the Endangered Species Mitigation Fund (ESMF). The fund is designed to prevent new federal listings of species under the Endangered Species Act and to work toward recovering Threatened and Endangered species currently listed under the act. Keleher oversee the ESMF and represent DNR in the June Sucker Recovery and Implementation Program and the Virgin River Resource Management and Recovery Program. Additionally, he also represent Utah on the Colorado River Fish Recovery Program. Todd Royce currently serves as the law enforcement director of the Utah Department of Natural Resources (DNR). He joined DNR in 2018. As law enforcement director, Royce works closely with DNR division leadership and section chiefs to oversee the public safety efforts of DNR law enforcement, including wildlife conservation officers and state park rangers. Achieving the rank of Lieutenant, Royce has served in many capacities during his 23 year career with the Utah Department of Public Safety, including public information officer for four years. Much of his field experience was obtained in Utah County as a Trooper and Sergeant. Royce previously served as president of the Utah Troopers Association and as a member of the board of directors for the UHP Honoring Heroes Foundation. Royce holds a criminal justice degree from Salt Lake Community College. He is married to his wife, Wendy, of 23 years and has three boys. He loves the outdoors and enjoys fly-fishing. Jeff Rasmussen is the interim director of the Utah Division of Parks and Recreation. His primary responsibilities include supervision of division staff who administers the affairs of Utah’s 44 state parks, off-highway vehicle program, and state boating program. Jeff served as deputy director for the Division of Parks and Recreation since 2012. Prior to his assignment as deputy director, Jeff served the Division as the North Region manager. He started his career with Division in 1992 as a park ranger at Antelope Island State Park. He was later assigned to Palisade State Park, where he served a park manager for five years. In 1998 he became the assistant park manager at Yuba State Park and was later promoted to park manager in 2002. Jeff learned to love the outdoors from an early age when he and his family camped and played at national and state parks throughout the west. Jeff came to Utah to attend Brigham Young University and later graduated with a degree in geography and a minor in natural resources. Kaelyn Anfinsen has served as the executive assistant for the Utah Department of Natural Resources (DNR) since 2009. She works with the executive director and his deputy directors managing office personnel and handling agendas, correspondence, scheduling and all other administrative functions. Anfinsen also coordinates meetings for DNR’s leadership team and the Executive Water Task Force. Before joining DNR’s administrative office, Anfinsen served as an administrative assistant for three years for the Utah Division of Water Rights. 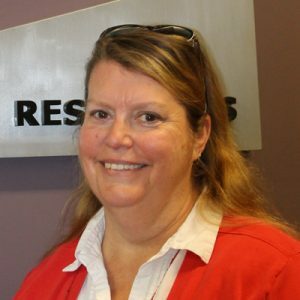 Prior to her employment in state government, Anfinsen was the administrative assistant to the regional manager at United Parcel Service for many years. 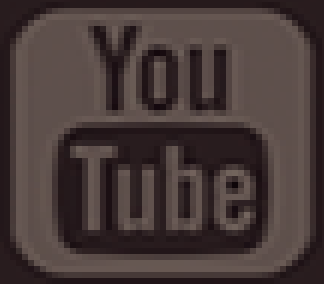 She has also worked for Coca-Cola and Bonneville International Corporation. Anfinsen and her husband Ken live in West Valley and have four children and six plus grandchildren. She enjoys spending time with her grandchildren, camping, sewing and locking herself in her craft room. 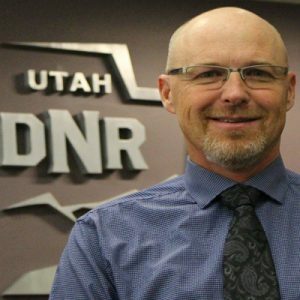 An avid hunter and a longtime career in wildlife law enforcement, Mike Fowlks has more than 24 years experience with the Utah Division of Wildlife Resources. He has served as the division’s deputy director since 2012 and was appointed as interim director in 2017. Fowlks primary responsibilities include overseeing more than 600 state employees and managing and protecting Utah’s wildlife and fisheries, including 140 wildlife management areas and 12 fish hatcheries. Fowlks began his career at the DWR as a field conservation officer in the agency’s Law Enforcement Section. He distinguished himself as a leader and quietly worked his way through the ranks, serving as the law enforcement section chief for eight years. He also served as the agency’s liaison with the Utah Legislature between 1997 and 2003. Fowlks received his bachelor’s degree in zoology and animal biology from the University of Utah. He also graduated from the FBI National Academy for Law Enforcement Administrators and the National Conversation Leadership Institute. Tyler Thompson has worked for the Utah Department of Natural Resources (DNR) since 1997 starting his career as a seasonal employee collecting vegetation trend data for DNR’s Division of Wildlife Resources Range trend program. Since this time, Tyler has worked as a research biologist in the development of new grass and forb seed releases and as one of the first restoration biologists hired to implement projects in southern Utah funded through Utah’s Watershed Restoration Initiative (UWRI). For the last decade, Tyler has been a part of WRI’s statewide administration staff. In that position, Tyler helped find matching funding for WRI projects and administered the incoming and outgoing funding contracts to help get project dollars on the ground each year. In January of 2017, Tyler was selected as DNR’s watershed program director. Tyler coordinates and manages WRI through five regional teams that submit and review over 150 restoration projects each year. WRI completes nearly 100,000 acres of restoration work each year in Utah. Tyler grew up in Orem, Utah where he graduated from Mountain View High School, attended Utah Valley University and Brigham Young University. Tyler received both a bachelors and masters degree from BYU where he did his graduate research on the use of both native and non-native seed mixes for fire rehabilitation in the Tintic valley, Utah following the 1999 Railroad fire. Tyler and his wife Brooke have been married for 15 years and currently live in West Jordan. Tyler enjoys fishing, outdoor photography and riding off-road motorcycles through Utah’s beautiful desert and mountain landscapes. 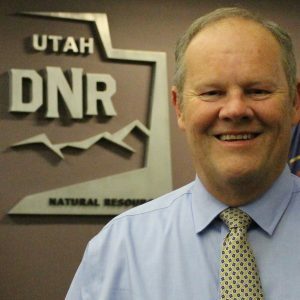 Roger Lewis became the Finance Director for the Utah Department of Natural Resources (DNR) in April of 2017. His primary responsibilities include managing DNR’s finances and coordinating budgeting and accounting activities with DNR’s seven divisions. Lewis also oversees the internal audit function of the department. Lewis has worked for the State since 1988, starting as a tax auditor for the Utah State Tax Commission. In 1999, Lewis joined DNR’s internal audit staff and later became the audit manager. After working in internal audit for six years, Lewis became the Administrative Services Director for the Utah Division of Forestry, Fire, & State Lands, one of DNR’s seven divisions, where he oversaw the accounting and budgeting of that division for eleven years. Lewis has a Bachelor of Science in Accounting from the University of Utah and a Masters of Business Administration from Utah State University. Lewis and his wife, Andrea, have three children. Lewis enjoys many outdoor activities such as camping. Besides his family, his main passion is photography, particularly wildlife photography where he spends a large amount of his outdoor time enjoying the wonders of the natural world. 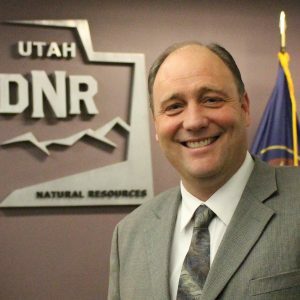 Michael Tribe joined the Utah Department of Natural Resources (DNR) in 2017 as the Human Resources Director. Mr. Tribe has a Master’s Degree in Human Resource Management from the University of Utah. 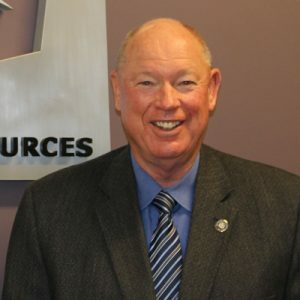 His primary responsibilities include managing and directing DNR Human Resources team and government outreach efforts and overseeing the department’s recruitment, classification, compensation, performance management and liability issues for DNR and its seven divisions. Prior to joining DNR, Mr. Tribe served the state of Utah in a variety of Human Resources positions and agencies since 1993, most recently as the Human Resources Manager for the Utah Schools for the Deaf and the Blind. Mr. Tribe and his wife Marci have four children and live in Bountiful, Utah. He is an avid fan of the Utah Jazz and the University of Utah and enjoys enjoying traveling throughout Utah’s to take in the scenic beauty. In his spare time he enjoys singing in two local community choirs, Utah Voices and Witness Music. Kent Jones was appointed in 2009 as the state engineer. He is responsible for the general administrative supervision of the waters of the state and the measurement, appropriation, apportionment and distribution of those waters. Jones joined the Division of Water Rights in 1981 as an assistant regional engineer. After two years he was hired as a planning engineer with the Division of Water Resources. He returned to Water Rights as the regional engineer for the Weber River/West Desert Regional Office. He was also selected to be the directing engineer for distribution, stream alteration, and well drilling. In 1987 he was hired as the assistant state engineer for applications and records and served in that position until his state engineer appointment in 2009. He graduated from Utah State University with a degree in Civil and Environmental Engineering with an emphasis on water resources. He currently serves as a member of the College of Engineering Advisory Board for Utah State University. Jones and his wife Ann have four children, 16 grandchildren, and live in West Jordan, Utah. He enjoys work, reading, hiking, youth soccer, stained glass projects, rock art, and traveling to out-of-the-way places. Eric Millis is the director of the Utah Division of Water Resources (DWRe) and has also served as Utah’s interstate streams commissioner since November 2013. Eric has worked for the DWRe for 28 years and has served as the division’s development director, planning director, river basin planning section chief and as an engineer in the division’s investigation section assisting applicants with the Board of Water Resources build water development projects. He is a graduate of Brigham Young University and a registered professional engineer. John Baza was appointed Director of the Utah Division of Oil, Gas and Mining in May 2005 by then Governor Jon M. Huntsman. He leads the division’s efforts in petroleum development, coal and mineral mining, and abandoned mine reclamation. Baza is a registered professional engineer in Utah and holds Bachelor of Science and Master of Science in petroleum engineering from Stanford University. 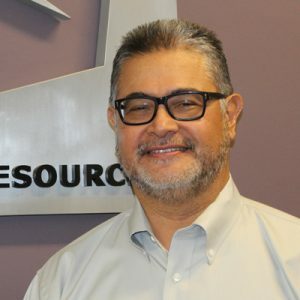 Baza’s career spans 35 years of working with the energy and mineral extractive industries, including engineering positions with Phillips Petroleum Co., Amoco Production Co., and Flying J. He is a 38-year member of the Society of Petroleum Engineers, having held various officers positions including section chairman, program chairman and scholarship committee chairman. Baza and his wife Darlene were both raised in Utah. They have four children and are the extremely proud grandparents of four grandchildren. He appreciates the heritage and diversity of historical, cultural, and recreational experiences that he and his family enjoy living Utah. Brian Cottam is the Utah State Forester and Director of the Utah Division of Forestry, Fire and State Lands. The Division administers numerous forestry programs, is responsible for wildfire management on state and private lands, and oversees Utah’s state sovereign lands. Prior to becoming State Forester in 2013 Brian was the Division’s deputy director. Cottam’s previous professional positions include both associate and interim director of Regional Services in Southern Utah University’s Office of Government Relations and Regional Services in Cedar City, Utah; rural program specialist in the State and Local Planning Section of the Governor’s Office of Planning and Budget for Governor Jon M. Huntsman, Jr.; economic development director for Wayne County, Utah; coordinator of the Greater Flagstaff Forests Partnership, Flagstaff, Arizona; and director of the Southern Utah Forest Products Association, Lyman, Utah. He has also been a small business owner and manager. 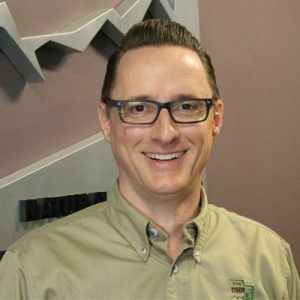 Brian earned a Bachelor of Science Degree in Social Science with a minor in Environmental Studies from Westminster College in Salt Lake City, and a Master’s Degree in Forestry with an emphasis in natural resource and environmental policy from Utah State University. His master’s thesis focused on the Southern Utah Forest Products Association and the development of forest and wood-worker cooperatives. 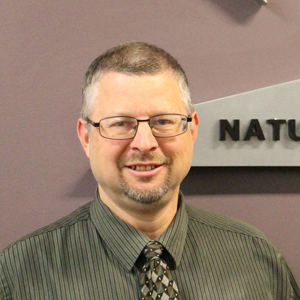 Bill Boudreau joined the Utah Department of Natural Resources (DNR) in 2013 as the information technology director. 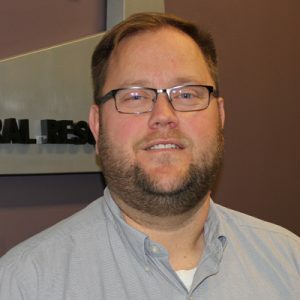 His primary responsibilities include overseeing DNR’s technical environment with application development and maintenance, desktop support, servers, network and help desk. Prior to joining DNR, Boudreau was the information technology director for the Utah Department of Corrections. He has worked for the State of Utah in various technology roles and capacities since 1994. Boudreau has a Bachelor of Science in Computer Science from Weber State University. He has also served in the US Army Reserve as a field artillery officer and is a graduate of the US Army Officer Candidate School in Fort Benning, Georgia. Boudreau and his wife Kellie have one son and three grandchildren and live in West Point, Utah. He is an avid cyclist and also enjoys camping in Utah’s beautiful wilderness. 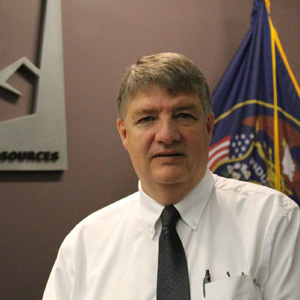 Wade Kloos is the GIS director for the Utah Department of Natural Resources (DNR). His main responsibility includes managing and assisting seven divisions with innovative ways to implement the use of GIS technology. 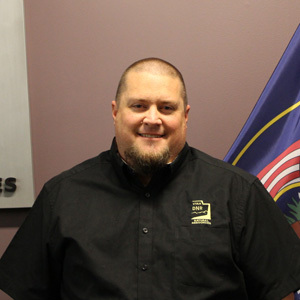 He represents the Department and works with other agencies on initiatives including a leadership role with the Utah Mapping and Information Partnership. He also coordinates the department’s Success Framework initiative that seeks to measure and document business process improvement and performance across all divisions. Prior to joining DNR, Kloos worked for Esri, the world’s leading GIS software company, where he helped state and local government agencies leverage its broad suite of GIS tools. Kloos has worked at the local government level as a city planner and GIS coordinator. He also started and runs his own small business designing and manufacturing remote controlled model airplanes. Kloos has a Bachelor of Science in Geography from California State University, Fullerton and a Master’s degree in Urban and Regional Planning from the University of Colorado, Denver. Kloos and his wife Emily have two boys. One son attends the University of Utah and the other is on his way. He enjoys exploring the outdoors with his family, mountain biking and designing and flying RC airplanes and drones. Nathan Schwebach joined the Utah Department of Natural Resources (DNR) in 2015 as the communications director and public information officer. His primary responsibilities include managing DNR’s public and government outreach efforts and overseeing the department’s social and digital platforms. Schwebach also coordinates marketing and media outreach efforts between DNR and its seven divisions. 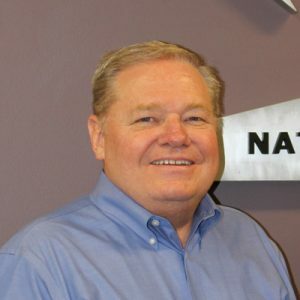 Prior to joining DNR, Schwebach was the public relations director for ThomasArts, a full-service advertising and communication firm in Farmington, Utah. 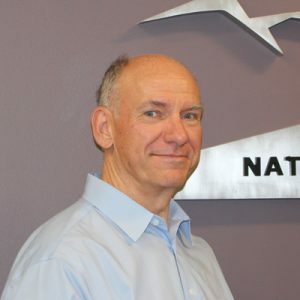 As an expert in strategic communication, he has worked with a variety of public, private, government and nonprofit organizations throughout the United States, including General Motors, Subway Restaurants, Cancer Research Institute, Huntsman Cancer Institute, Comcast, Natural History Museum of Utah, Utah Department of Transportation, AARP and Aetna. Schwebach has a Bachelor of Science in Mass Communication with an emphasis in Public Relations from the University of Utah. Schwebach and his wife Kristi have three children and live in Herriman, Utah. He enjoys camping, ice fishing, riding off-highway vehicles and exploring Utah’s beautiful wilderness. 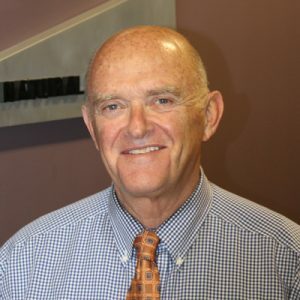 In his spare time he helps increase awareness of Type One Diabetes and has served as a board member for the Juvenile Diabetes Research Foundation in Utah. 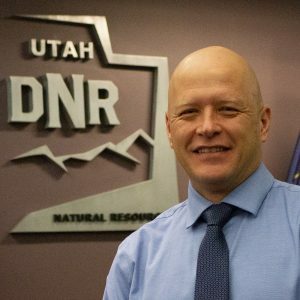 Darin Bird currently serves as deputy director of the Utah Department of Natural Resources (DNR). He joined DNR leadership in 1998 as communication director and legislative liaison. As deputy director, he has continued his work with the legislature and also works with congressional delegation on federal issues. His current portfolio includes supervision of the Divisions of Parks and Recreation, Water Resources and the Utah Geological Survey. Bird is also DNR’s representative on the Virgin River Administration Committee and the Upper Colorado River Program. 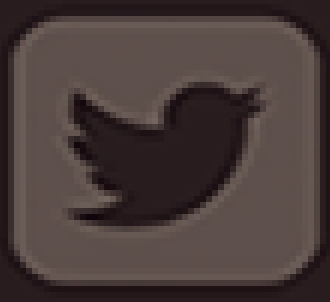 Previously, Bird served on the personal staff of U.S. Senator Robert Bennett in several capacities. He has also served as senior policy advisor for the U.S. House Natural Resources Committee chaired by former Utah Congressman James Hansen and as special assistant and director of Constituent Services for Utah Governor Norman Bangerter. Bird grew up in Cedar City and Santa Clara, Utah and graduated from Dixie College and Southern Utah University. While attending SUU, he served as student body president and president of the Utah Student Association. He was also the first recipient of the SUU Young Alumni Award. Bird currently serves as a member of the Murray Shade Tree and Beautification Commission and as a board member for This Is the Place Heritage Park and the Michael O. Leavitt Center for Politics and Public Service at SUU. In his free time, Bird enjoys traveling and exploring Utah’s amazing trails on an ATV. Darin and his wife Lola live in Murray, Utah and have one daughter, Lauren. Mike Styler has served as executive director of the Utah Department of Natural Resources (DNR) since January 2005. Styler leads an agency of 1,300 employees who are divided among seven divisions: Forestry, Fire and State Lands; Oil, Gas and Mining; Parks and Recreation; Utah Geological Survey; Water Resources; Water Rights and Wildlife Resources. Prior to his appointment, Styler served in the Utah House of Representatives where he was elected Assistant Majority Whip. He has also served on the Executive Appropriations Committee, Legislative Management Committee, Legislative Water Task Force (chair), and Natural Resources Appropriations Committee (chair). Before his legislative service, he served for eight years as a Millard County Commissioner and president of the Utah Association of County Commissioners. He also served his farming community as president of the Deseret Irrigation Company. Styler received Bachelor degrees from Brigham Young University in Agricultural Economics and Business Education. He started purchasing his family farm while teaching U.S. History to eighth grade students at Delta Middle School. The Styler family helped settle Millard County in the 1880s, founding the farming community of Oasis. He still farms 400 acres of irrigated land in Delta with the help of his son Stephen. Among his many interests, Styler loves ice fishing and hunting. His adventures have included hunting bear and moose in Alaska and whitetails in Wyoming. He and his wife have three children and are the proud grandparents of 12 grandchildren.